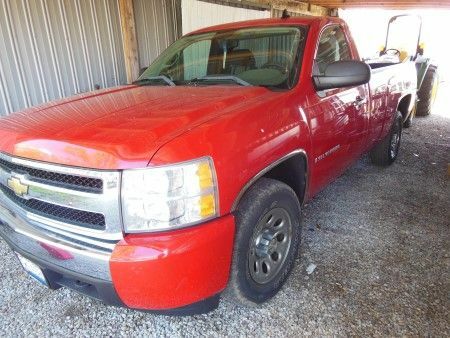 2007 CHEVROLET 1500, 4x4, long bed, reg. cab, automatic showing 111,546 miles. 1993 CADILLAC El Dorado, Clean, 2 door, cream exterior, leather interior, automatic, showing 36,605 miles. 1979 MAZADA RX7 S, 2 door sport coupe, yellow exterior. 1977 FORD Custom S/S F105 model, 2 tone, white & blue. 1992 FORD F-150 XLT pickup, long bed. 74' VOLKSWAGEN Bug, black exterior, 2 door. 46" deck; CRAFTSMAN 20" 4 HP push mower; TROYBILT JR 4 HP rot tiller; lawn roller; lawn cart; portable dog kennels chain link. 21S 22 mag 6 shot revolver; Hammerless side by side American Gun Co. shot gun; Stevens model 940 Savage Arms 12 ga. single shot with engraving bird dog scene; Winchester model 770, 30-06 SPRG bolt action rifle; Greer & Laing model 1855 single shot; cantines, powder horn, binoculars. Huge Longaberger Basket Collection (hundreds of them) sold in lots; Gun cabinet; Bedroom suite; sofa; chairs; China Cabinet; Jewelry; glassware; and more. Lincoln gas engine SA 200 arc welder SA-200-f-163; Craftsman table saw; ladders; scaffolding; tow straps; welding lead; air compressor; porta-powers; and much more. Personal Property Terms: Paid in full at time of sale cash or check; everything sold in as-is condition no warranties; removal day of sale; All information provided is to be utilized strictly as a guide. Buyers are responsible to conduct any inspection, inquiry, investigations and due diligence regarding to personal property. All measurements provided are approximate. 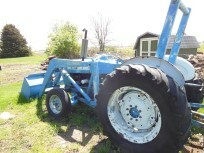 Buyer agrees and understands that the seller nor Stanley & Son, Inc. makes no warranties or representations of any kind either expressed or implied as to the condition, quality, and merchant ability of fitness for a particular purpose or any part thereof and/or serviceability for the same. Taxes & Legal: Tract 1: Parcel # 01002100014300, Legal Acres 6.94, Net Annual Taxes: $1,309.72 (Homestead); Tract 2: Parcel # 01002100014200, Legal Acres 6.36, Net Annual Taxes: $321.60 pro-rated to closing. Janice Schrader; John H. Farthing, Atty.